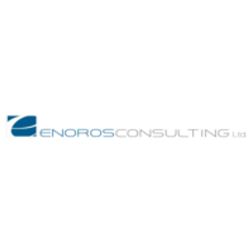 ENOROS Consulting Ltd was established in 2006 and has since been active in the field of Project Management in Cyprus and in the European area, providing comprehensive consulting services to the public and private sectors. ENOROS objective is to provide specialized knowledge in planning, management and evaluation of development programs and projects, both at national and European levels.. It comprises of three Directorates (Public Sector works, Private sector projects and International & European projects), which are appropriately staffed by a team of committed consultants with high scientific education and training, extensive experience and knowledge in thematic fields relevant to the company's areas of expertise. Their disciplines have a wide range from Political Science, International Relations, Economics, Psychology, Sociology, Engineering, Agronomy, etc. The company also cooperates with external experts in various thematic areas (Human Resources, Rural Development, Tourism, Immigration policies etc) and has a wide network of local partners in the field of education and culture, youth and employment, justice and public order, human resource development, citizen protection, social innovation and entrepreneurship etc. Enoros Consulting Ltd adheres to a Quality Assurance System and is certified according to EN ISO 9001: 2008 for Project Management of National and International Programs, which ensures the quality and effectiveness of the services provided.